We develop an intuitive approach for studying propagation of optical pulses through nonlinear dispersive media. Our new approach is based on the impulse response of linear systems, but we extend the impulse response function using a self-consistent time-transformation approach so that it can be applied to nonlinear media as well. Numerical calculations based on our new approach show excellent agreement with the generalized nonlinear Schrödinger equation in the specific case of the Kerr nonlinearity in both the normal and anomalous dispersion regimes. An important feature of our approach is that it works directly with the electric field associated with an optical pulse and can be applied to pulses of arbitrary width. Numerical calculations performed using single-cycle optical pulses show that our results agree with those obtained with the finite-difference time-domain technique using considerably more computing resources. G. P. Agrawal, Fiber-Optic Communication Systems, 4th ed. (Wiley, 2010). P. Agostini and L. F. DiMauro, “The physics of attosecond light pulses,” Rep. Prog. Phys. 67, 813–855 (2004). G. P. Agrawal, Nonlinear Fiber Optics, 5th ed. (Academic, 2012). 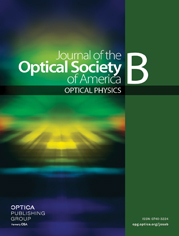 T. Brabec and F. Krausz, “Nonlinear optical pulse propagation in the single-cycle regime,” Phys. Rev. Lett. 78, 3282–3285 (1997). G. Sansone, L. Poletto, and M. Nisoli, “High-energy attosecond light sources,” Nat. Photonics 5, 656–664 (2011). G. D. Tsakiris, K. Eidmann, J. M. Vehn, and F. Krausz, “Route to intense single attosecond pulses,” New J. Phys. 8, 19 (2006). A. Kumar, “Ultrashort pulse propagation in a cubic medium including the Raman effect,” Phys. Rev. A 81, 013807 (2010). C. V. Hile and W. L. Kath, “Numerical solutions of Maxwell’s equations for nonlinear-optical pulse propagation,” J. Opt. Soc. Am. B 13, 1135–1146 (1996). S. Nakamura, N. Takasawa, and Y. Koyamada, “Comparison between finite-difference time-domain calculation with all parameters of Sellmeier’s fitting equation and experimental results for slightly chirped 12 fs laser pulse propagation in a silica fiber,” J. Lightwave Technol. 23, 855–863 (2005). Y. Xiao, G. P. Agrawal, and D. N. Maywar, “Spectral and temporal changes of optical pulses propagating through time-varying linear media,” Opt. Lett. 36, 505–507 (2011). Y. Xiao, D. N. Maywar, and G. P. Agrawal, “Nonlinear pulse propagation: A time-transformation approach,” Opt. Lett. 37, 1271–1273 (2012). K. E. Oughstun and G. C. Sherman, Electromagnetic Pulse Propagation in Causal Dielectrics (Springer, 1994). Fig. 1. Schematic illustration of the linear system approach to optical pulse propagation. The electric field is shown for both the input and output pulses. Fig. 2. Shape (top) and spectrum (bottom) of a wide optical Gaussian pulse (T0=10 ps) at the input end (dashed green lines) and the output end at z=4LD (dotted black lines). The predictions of the NLS equation are shown by solid yellow lines. Fig. 3. The input (solid yellow) and output (dotted black) intensity profiles at z=0 and z=10LD when parameters of the input pulse correspond to a 10 ps fundamental soliton. Fig. 4. Intensity profile of a sech input pulse at distances of z=0 (dashed green) and z=10LD (dotted black) for parameters identical to those of Fig. 3 except for T0=10 fs, s=1/(4π), and δ3=0.02. Predictions of the GNLS equation are shown by the solid yellow curve. Fig. 5. Evolution of a third-order soliton (N=3) over one dispersion length for the same parameters values used in Fig. 4. The temporal and spectral intensities are plotted using a 50 dB color scale. Fig. 6. Electric field of a single-cycle pulse (dotted black curve) at z=LD for ω0/(2π)=200 THz, T0=1 fs, and N=1. Input electric field profile is depicted by the dashed green line. Prediction of the FDTD method is shown by the solid yellow line. Fig. 7. Same as in Fig. 6 but at a distance z=5LD.